Thank you for your interest in the International Collegiate Business Strategy Competition. 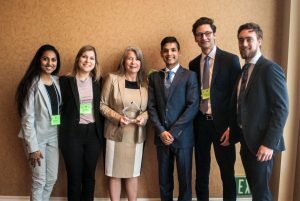 Each spring, universities from all over the world participate in the International Collegiate Business Strategy Competition which is the world’s longest running, most comprehensive business competition. In the spring of 2019, the Competition will be in its 55th year of delivering an exciting and challenging learning experience for students. The starting position of all teams is identical. Each of the companies has two years of identical history which become available to students through a set of starting reports. Twenty sets of quarterly decisions are then submitted by the teams for company operations over a simulated period of five years. Teams strive to outperform each other on a number of financial and strategic measures. Each team writes a strategic business plan for its company and assumes responsibility for executing that plan through making key strategic and operational decisions in marketing, finance, and operations. Students run their companies by making quarterly decisions for five simulated years — a total of twenty rounds of quarterly decisions. These decisions are transmitted to the host computer using the internet and the results — i.e. the performance of the team’s company and that of its competitors — determines the situation the company faces for the next set of decisions. Each team is responsible for a strategic business plan, an annual report, and one formal oral presentation to judges (who serve as the simulated Board of Directors). Team members have the experience of running their own company and learn first-hand how a group effort can result in synergy and enthusiasm. There are two phases to the competition: the remote phase and the on-site or “intensive phase.” In January teams receive start-up information and beginning position files. The competition begins at the beginning of January with the remote phase and culminates with the on-site or “intensive” phase in April — from April 25-27 in 2018. 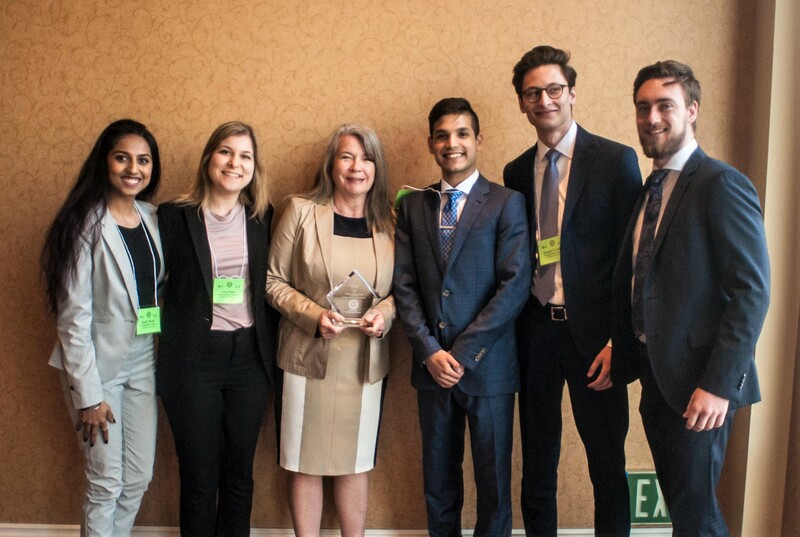 Students will travel to Anaheim, California where they complete their company’s quarterly decisions, make presentations to their judges, and attend a final awards banquet. To get the best sense of how the competition works, please see our YouTube Video which was made by the undergraduate team from San Jose State University. Please take some time to view our website for more information about the specifics of the Competition. We look forward to seeing you and your teams in Anaheim, CA in April of 2018. If you have any questions, please be sure to contact us. This website includes a wealth of information about different aspects of the competition. Available for participants is an extensive array of support materials. There are materials for advisors on setting up a team and recruiting students. There are also support materials for students who want to know more about the competition and its benefits for them. During the actual running of the ICBSC in the spring, there will be a number of resources including social media for schools who want to follow their teams as the Competition progresses.